Elegant Entertainment draws its talent from a network of skilled musicians. Whether you choose the string quartet, a smaller string ensemble, a guitar/violin duo, solo violin, brass ensemble or soloist, you can be sure of top-notch entertainment when you work with us. 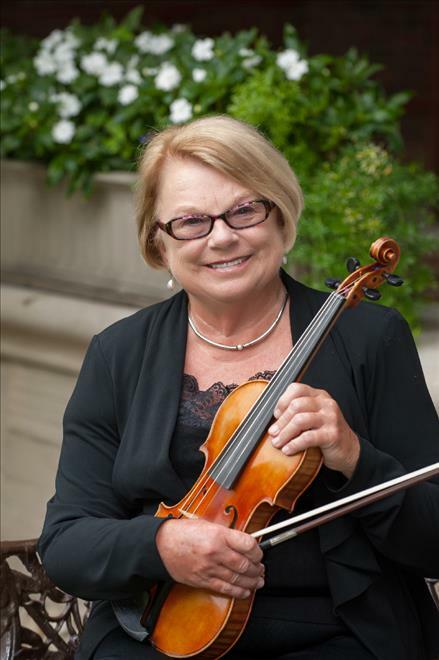 Maretta K. Alden, violinist and teacher, works throughout the Miami Valley. 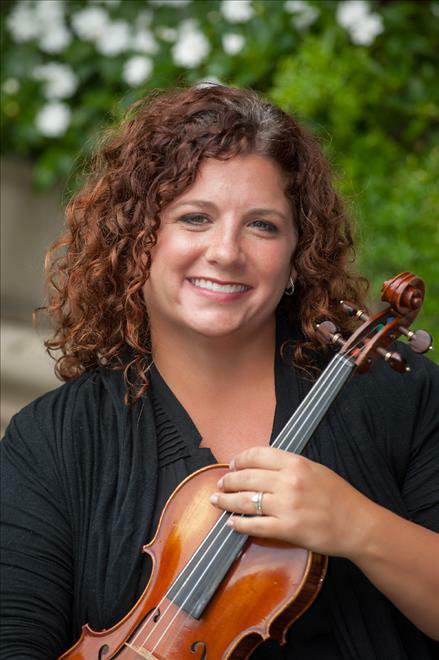 In addition to maintaining a private violin studio, she has been a faculty member at the Stivers School for the Performing Arts, the Miami Valley String Academy, and Colonel White High School in Dayton. Currently, she teaches in Wilmington and Kettering for private students in both the Suzuki method and traditional lessons. Alden has performed in many orchestras including the Dayton Philharmonic, Middletown Symphony, Richmond Symphony in Indiana, and the Springfield Symphony. Besides being the founding member of the Elegant Entertainment String Quartet, she has been a member of the Wilmington College Piano Trio, Kettering Strings Conductor, and the Music Director and Conductor of the Wilmington College Community String Orchestra. She lives with her daughter, Emma Saville, and her husband, Scott Saville, near Sabina, Ohio. Maretta can work with you to assure your musical preparations are perfect for your event. Donna McFarland has been playing the cello since the age of eight. A past member of the Wright State University Orchestra, Miami Valley Symphony Orchestra and the Dayton Junior Philharmonic, Donna has also appeared with many other musical ensembles, large and small, in the Miami Valley. Donna also worked in the broadcast industry for WONE Radio, WTUE Radio. WDTN-TV, WKEF-TV and WRGT-TV for many years. She played in the Highland Ensemble for six years, a group that includes a classical guitar, classical harmonica and cello. She is currently a cellist and the business manager for Elegant Entertainment. As our business manager, Donna keeps the book on what dates are available and will work with you to schedule your event. A graduate of Miami University, Donna Taft has performed with the Hamilton Symphony and has taught strings in the Hamilton City Schools. Her teaching credits include a 25-year professional relationship with Dayton Public Schools. Donna developed the orchestra program at Stivers Performing Arts School, and served as that school’s first orchestra director. 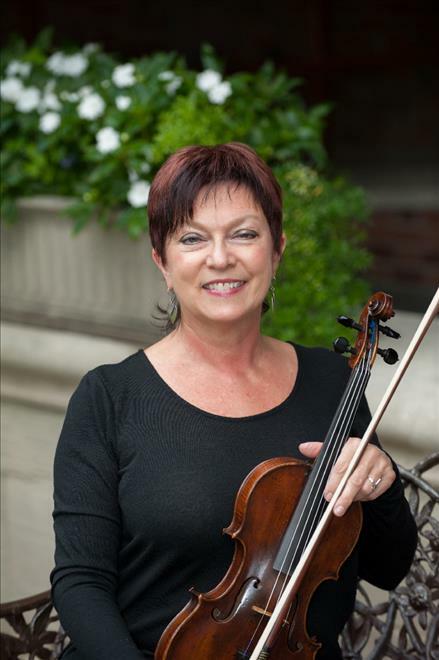 Besides her work at Stivers, Donna established a Suzuki-based program of violin instruction at the Cleveland Avenue School for the Arts in Dayton. Donna has been performing with Elegant Entertainment since the late 1990s and maintains an active schedule of private lessons. Bill Slusser was born and grew up in Alliance, Ohio. Bill received his Bachelor’s of Music degree from Baldwin-Wallace in Berea, Ohio. For 26 years he served in the Air Force. Almost all of that time he was a member of the Air Force Band’s Strolling Strings. 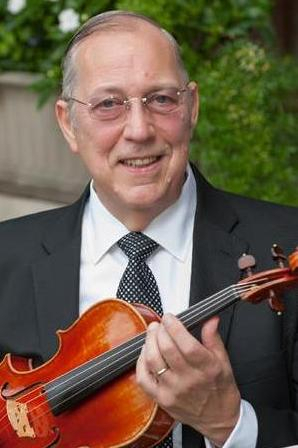 He played the violin for Presidents Ford through Clinton during that time and received his Master’s of Music degree from The Catholic University in Washington, D.C. He was both the director and superintendent of the Air Force strings and retired from that position in 1996 as a Chief Master Sergeant. Since then, he has lived in Dayton, performing with the Springfield Symphony, Middletown Orchestra, Sorg and Whitewater Opera, and the Columbus Symphony. He has taught at the University of Dayton and in the Dayton public schools. Currently he is a member of the Dayton Philharmonic and also serves as librarian for the Philharmonic. Corey Hall is a graduate of Miami University and has taught orchestra in public schools for fourteen years. In college, she played in several string quartets, served as the concertmistress of the MU Symphony Orchestra, and presented three solo recitals. She has performed in many venues, including locations such as Boston, Dallas, Austin, and the Kennedy Center in Washington D.C. In 2000, she toured Europe with the Oxford Chamber Orchestra and performed at the Cathedral Basilica in Luxembourg as part of the Luxembourg International Music Festival. She has performed with Josh Groban and has collaborated with electric rock string group, The Section Quartet. She completed her Master of Education degree in 2010. Corey performs locally with Middletown Symphony, Springfield Symphony, and Hamilton-Fairfield Symphony. 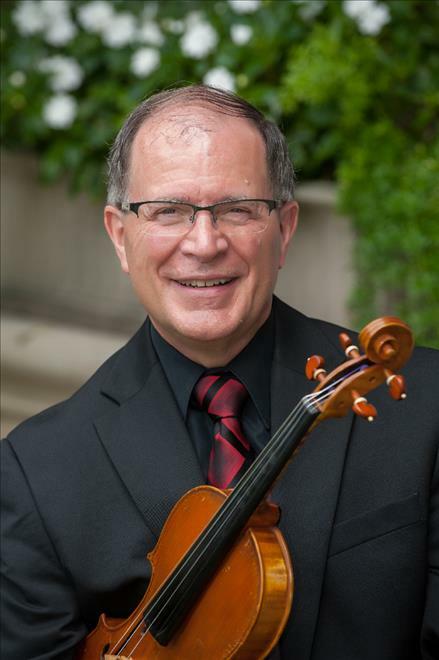 Ken, a resident of Xenia and a writer for IBM, has performed as a violist and violinist in the Miami Valley for more than 30 years. Ken is a past member of both the WSU Orchestra and the Miami Valley Symphony Orchestra, and has also played with the Springfield Symphony Orchestra. He has performed in many small ensembles, including the Cavalier String Quartet in Virginia Beach, and has played for Elegant Entertainment since its inception in 1999. He has worked as a soloist with the Springfield Arts Council and the Dayton Area Harp Ensemble, and has played in the orchestras for numerous local music productions–sacred and profane. Walter Park is a Cincinnati-based Violinist, Violist, Recording Engineer, Videographer, Photographer and just about any other relating discipline that serves the art of being a performing and recording musician. Born in Orange County, California, neighboring sprawling Los Angeles with its incredibly diverse musical and cultural landscape, he grew up and studied violin with several teachers from the age of 6, and most notably with Dr. Earnest Salem at California State University of Fullerton. Now an alumna of the University of Cincinnati College-Conservatory of Music and former pupil of renowned pedagogue Mr. Kurt Sassmannshaus, he works as an active musician in the Cincinnati area. On his days off, you can find him brewing beer in his kitchen, or day-hiking the trails at Hocking Hills State Park, or just enjoying the beer garden at Findlay Market. 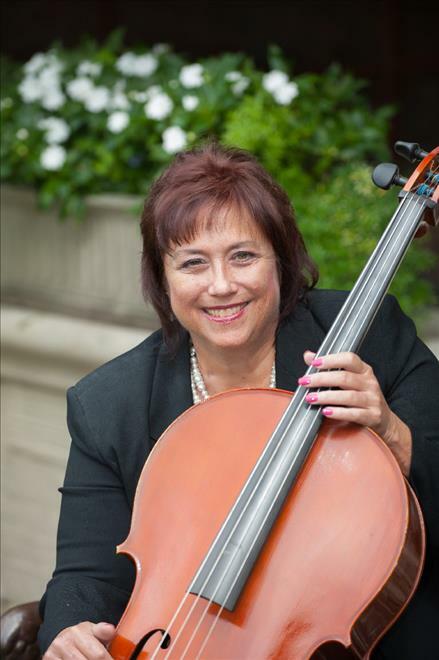 Linda Katz has taught cello privately since the late 1960s. She received her BS and BMus degrees from the University of Oregon, and her MMus and DMA from The Ohio State University. Dr. Katz played in the Dayton Philharmonic Orchestra from 1977 to 2013 and was Principal Cello for 23 of those years. She has specialized in Baroque performance practice as well as chamber music. She currently is focused on teaching, with a studio of 50 cello students. Dr. Katz has taught at WSU, UD, Sinclair and Stivers Music Magnet. She plays weddings and background music with Elegant Entertainment. 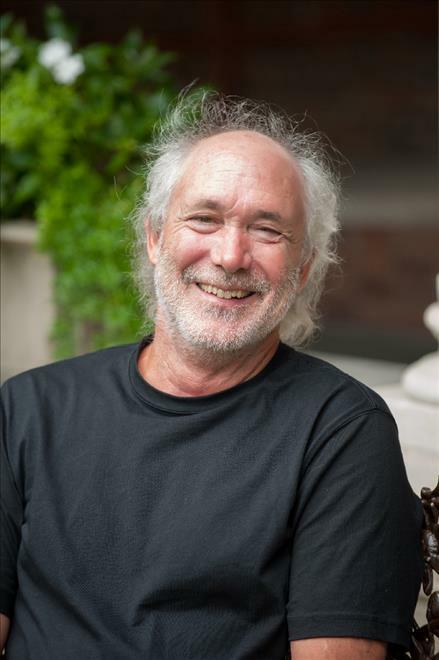 Dr. Katz is an active Suzuki Teacher and has attended teaching workshops in Stevens Point, Ithaca, Columbus, Milwaukee and Pittsburgh. Caitlyn Chenault is a Cincinnati based cellist who hails from sunny Southern California. She is currently completing her Doctorate in cello performance at the University of Cincinnati’s College-Conservatory of Music under the tutelage of Professor Yehuda Hanani where she also holds the role of Head Orchestral Librarian Graduate Assistant. As an active solo, chamber, and orchestral musician you can hear Caitlyn performing in a variety of venues across the tri-state area, including Memorial Hall and the Arnoff Center for the Arts. She has performed with such groups as the Kentucky Symphony, Richmond Symphony, Concert Nova, and Cincinnati’s Classical Revolution. As a dedicated educator Caitlyn has been teaching traditional and Suzuki cello lessons for over ten years to aspiring cellist from ages three to eighty-three through such organizations as CCM’s Preparatory Department, the Hyde Park School, The School for the Creative and Performing Arts, and the Redlands Community School of Music. Caitlyn believes in working with each student and their family to find the most engaging and appropriate style of learning for each individual. When Caitlyn is not cello-ing, she enjoys hiking, reading, cooking practicing yoga, and hanging out with her fiancé Walter Park and their cat, Pietra.